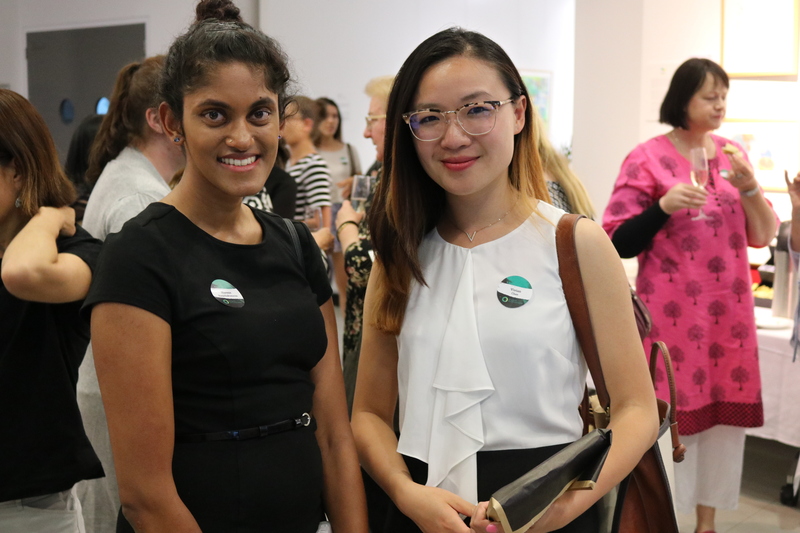 Our She Leads In-Conversation events provide Canberrans with the opportunity to hear from women leaders from different backgrounds and industries, in a conversational format, followed by a live Q&A session, book signing, and networking. 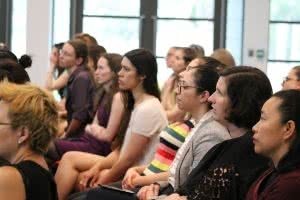 These events are in partnership with the University of Canberra, who like YWCA Canberra, are WGEA certified and share our vision of women’s empowerment. Through this, University of Canberra provides flexible working and studying options for students and staff, is friendly breastfeeding certified, provides outreach for gender rebalance in STEM, and has a commitment from top-level executives for gender equality policies and services. YWCA Canberra is grateful and proud to be partnered with an institution that strongly aligns with our organisational values. 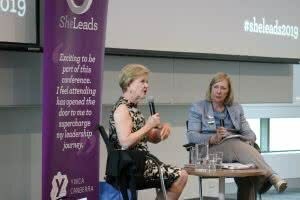 The She Leads In-Conversation with Prof. Gillian Triggs was facilitated by Dr Helen Watchirs on the 20 November 2018 at the Ann Harding Conference Centre, University of Canberra. 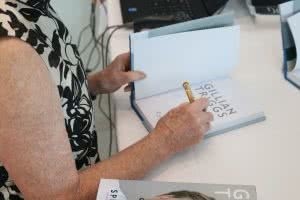 Prof. Gillian Triggs spent 45 years of her career as a lawyer, avoiding the turbulent public and political sphere. To claim that Gillian’s five-year tenure as the Australian Human Rights Commissioner somehow found her is something she would certainly agree with. However, once it found her, it ignited a passion that had driven her to lead the national conversation on the impact of children in Australia’s offshore detention centres. It has also seen Gillian publicly vilified and scrutinised for her unwavering advocacy of human rights. “When you are dealing with human beings whose rights are grossly abused, it shifts you. 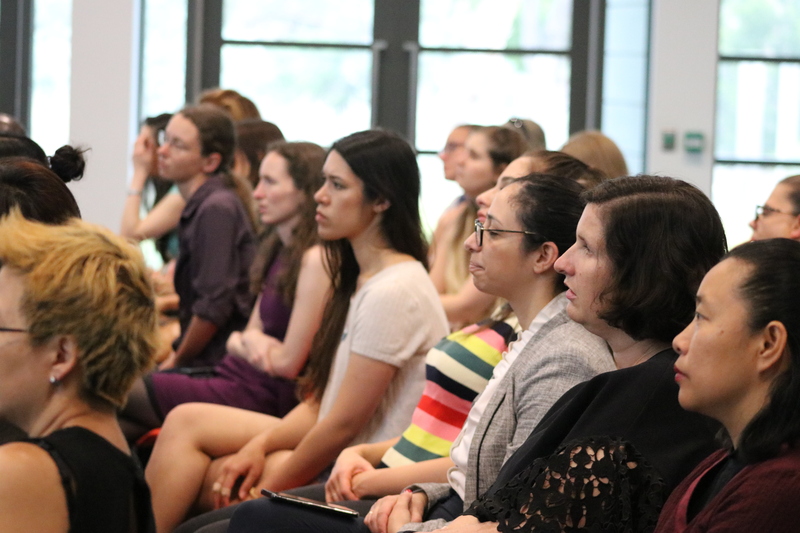 You can’t go back to being an office lawyer…You have a responsibility,” Gillian told the crowd gathered for her In-Conversation event with Dr Helen Watchirs, the current ACT Human Rights Commissioner. “Reading the statute alone doesn’t lead to social change – you’ve got to change the culture, you’ve got to work with the people,” she said. Gillian explained that the more distance she had from her former role as the Australian Human Rights Commissioner, the more she realised that the underlying issue she faced was understanding why Australia constantly struggles to deal with human rights. This is what led her to write her latest book titled ‘Speaking Up’. ‘Speaking Up’ is Gillian’s memoir that outlines her tumultuous experience as the commissioner, and outlines the complexities surrounding key challenges for Australia in complying with its human rights obligations. Gillian has been able to articulate a difficult-to-navigate (and at oftentimes alienating) discussion by incorporating accessible language. “It is our responsibility [as scholars] to put our messages into plain English for the public arena,” Gillian stated on Tuesday night. Communicating abstract concepts regarding human rights is something she is truly passionate about. Using language that speaks to the public encourages everyone, including young people, to engage in discourse, challenge existing structures and therefore actively contribute to social change. Conversely, Gillian outlined how the use of simplification of language is a mechanism that some politicians take advantage of in order to successfully push slogans, such as “Stop The Boats”, infamously wielded by former Prime Minister Tony Abbott. She outlined how the over-simplification of complex issues can be successfully absorbed by the community who then votes accordingly. Gillian emphasised that although it is far more difficult to put abstract concepts into slogans, it showcases the importance of getting the message out to the community. 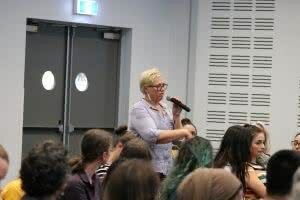 This innate ability to communicate complex principles transcended throughout the room as Gillian was able to continue to engage the audience while answering the most elaborate of questions from Helen. Many of those seated were nodding along as they were captivated by Gillian’s views and anecdotes. She reflected upon the relentless criticism from both politicians and the media, accusing her of politicising her role and how she addressed racial discrimination cases. To this, Helen posed the question of whether her gender had influenced the vilification she received. Gillian responded, “there is a political advantage to go for women in the public arena using misogyny.” She discussed how both politicians and the media have demeaned distinguished women in order to push a negative narrative and strengthen a political agenda. She gave examples of former Prime Minister Julia Gillard, stating that despite how competent Gillard was, she too was persecuted by fellow politicians and the media. Gillian reflected upon how both herself and Gillard were represented by editorial cartoonists who incorporated key features intent on humiliating their subjects while also fabricating a false narrative in an attempt to disillusion the public. She gave the example of how many of the cartoons featured her wearing pearl earrings and necklaces, something she did not do, in order to create an air of bourgeois – a woman far removed from the middle-class Australian public and their beliefs. Despite the rampant sexism she has encountered, Gillian remains as defiant as ever toward misogynistic culture. “Call out misogyny when you see it. Even if it leads the media to say ‘she is playing the gender card,’” Gillian encouraged the audience. “We as women need to come together and call this out across the country in order to change it,” she said. To this, Gillian responded that she certainly believed this would be achievable and remained hopeful for the future. She stated that as more and more young Aboriginal and Torres Strait Islander women are speaking out, Australia will shift. To end the night Gillian reminded us that in order to create social change, we must first work to change the culture within – a notion that has never been more applicable to the culture of mainstream Australian feminism. You can find photos from the event on Flickr. To receive updates about our exciting In-Conversation events for 2019, and future She Leads events, follow us on Facebook and Twitter, and subscribe to our She Leads Newsletter.